London: Mathews & Lane, 1897. BEARDSLEY, Aubrey, illus.. Periodical. 8vo, yellow cloth, stamped in black. Illustrated. A complete run of the magazine, from April 1894 to April 1897. First 5 volumes have some illustrations by Aubrey Beardsley. (He was fired after Vol. 5.) Vol. 1 stained on back cover, spines rippled on some volumes, o/w a VG tight set. Includes work by Beardsley, BEERBOHM, Max, BELL, R. Anning, GISSING, George, GOSSE, Edmund, GRAHAME, Kenneth, HARLAND, Henry, HOUSMAN, Laurence, JAMES, Henry, LE GALLIENNE, Richard, LEIGHTON, Sir Frederick, PENNELL, Joseph, ROBINSON, Charles, SICKERT, Walter, STRANG, William, SYMONS, Arthur, WELLS, H.G., YEATS, William Butler, Wells, Herbert , etc. The Yellow Book - Volumes I-XIII. YELLOW BOOK. Harland, Henry, and Beardsley, Aubrey (edit). London / Boston / New York: Elkin Matthews / John Lane / Copeland & Day / The Bodley Head, 1894-1897. Hardcover. Very good. Complete run of 13 quarterly volumes published between April 1894 - April 1897, each bound in the publisher's original yellow cloth over boards, stamped and decorated in black. Some wear and chipping to extremities of cloth, particularly at the heads and heels. Spines are lightly sunned. 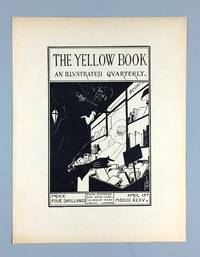 Illustrations throughout by Aubrey Beardsley (who also acted as the art director for the first 5 volumes), Charles Conder, William Rothenstein, John Singer Sargent, Walter Sickert, Philip Wilson Steer, and others. With literary contributions from Max Beerbohm, Arnold Bennett, "Baron Corvo", Ernest Dowson, George Gissing, Sir Edmund Gosse, Henry James, Richard Le Gallienne, Charlotte Mew, Arthur Symons, H. G. Wells, William Butler Yeats, and more. 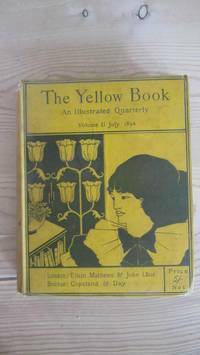 Offered here is a single proof leaf printed on coated paper for "The Yellow Book, An Illustrated Quarterly. London, Elkin Mathews, April 15, 1894 showing famous woodcut illustration by Aubrey Beardsley of woman rummaging through old book store. Fine. Most scarce. 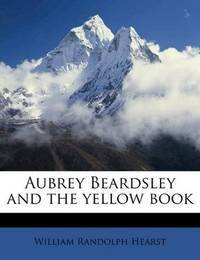 Aubrey Beardsley & The Yellow Book. HEARST, William Randolph. (BEARDSLEY, Aubrey). First edition. SCARCE. Slim small 32pp booklet. Original limp grey covers decorated in green with red and green text. 8 plates by Beardsley. Pages sl. browned with a few clusters of foxing. Edges of limp boards sl. worn and creased with small portions missing at head and tail of spine. Generally a clean and sound copy of a very scarce item. Elkin Mathews and John Lane. Very Good-. 1894. 1st Edition. Hardcover. 360 pp; Contains several Aubrey Beardsley illustrations; cover art and frontispiece also by Beardsley. Boards are slightly soiled, binding is cocked but tight. Corners and spine are edge worn, spine is darkened. Minor foxing on endpages. Still an attractive book. ; Always Delivery Confirmation. 35 Years Fast Excellent Service. We Know How To Pack Books. .
2018-04-05. Good. Ships with Tracking Number! INTERNATIONAL WORLDWIDE Shipping available. May not contain Access Codes or Supplements. May be ex-library. Shipping & Handling by region. Buy with confidence, excellent customer service! 2018-04-05. New. Ships with Tracking Number! INTERNATIONAL WORLDWIDE Shipping available. Buy with confidence, excellent customer service! The Eighteen Nineties Soc. Used - Very Good. Former Library book. Great condition for a used book! Minimal wear. Nabu Press. Used - Like New. Used - Like New. Book is new and unread but may have minor shelf wear. Ships from UK in 48 hours or less (usually same day). Your purchase helps support the African Children's Educational Trust (A-CET). 100% money back guarantee. We are a world class secondhand bookstore based in Hertfordshire, United Kingdom and specialize in high quality textbooks across an enormous variety of subjects. 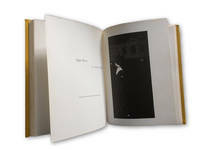 We aim to provide a vast range of textbooks, rare and collectible books at a great price. Through our work with A-CET we have helped give hundreds of young people in Africa the vital chance to get an education. We provide a 100% money back guarantee and are dedicated to providing our customers with the highest standards of service in the bookselling industry. No dw. Solid book but worn and grubby. Prelims foxed quite badly but internally almost clean. Top 1cm missing from head of spine..